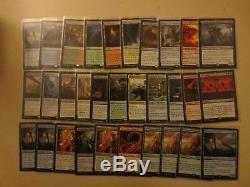 Most of the cards are Rare or Mythic. 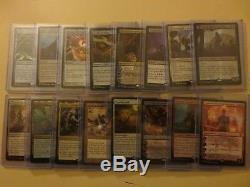 Cards are mostly from newer sets. 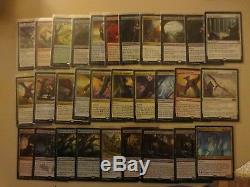 Lots of Commander 2017, Battlebond, and stuff out of the challenger decks. 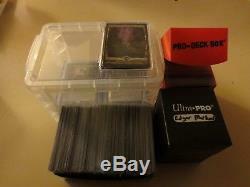 Plastic case is cards in toploaders, Red deckbox is sleeved cards. I tried to get it to where you can see every card. You can't see in the pictures that good but there are some foils mixed in. 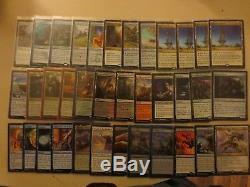 A lot of them are from the Commander boxes and were never printed in non foil so they are easy to tell. 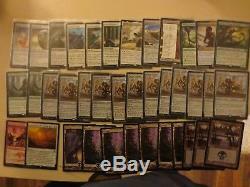 Aside from that the As Foretold, Battlebond Mycosynth Lattice, Masters 25 Kor Firewalker, and the Sigarda's Aid are foil. The Kytheon, Hero of Akros, Liliana, Heretical Healer, Archangel Avacyn, and Nevinyrral's Disk are From the Vault foils. Also included is a long box filled with sleeved cards. I would call them bulk rares but there might be something hiding in there. I doubt anything in that box is worth more than a dollar. Probably about 200 cards in that box. The black deck box is labeled Edgar Markov. Note this is not a deck. The deckbox is full of empty sleeves. There are 2 copies of Edgar Markov in the collection though. 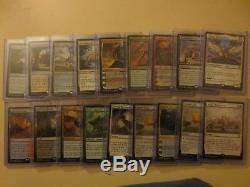 Some ultra pro sleeves with Liliana on them. Theese seem brand new but they loose in a plastic bag. They were included free in a collection I bought so I threw them in here. You won't find any dual lands or reserved list cards in here. 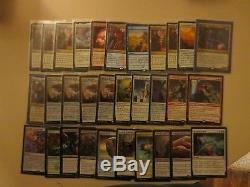 I think the most expensive card is the Battlebond Doubling Season. The item "Magic The Gathering Collection, Nice Rares / Mythics, Foils" is in sale since Friday, October 12, 2018. 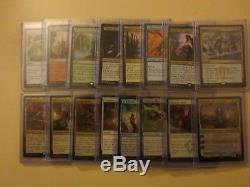 This item is in the category "Toys & Hobbies\Collectible Card Games\Magic\ The Gathering\MTG Mixed Card Lots".j11gl" and is located in Susquehanna, Pennsylvania.